A big question that many individuals ask is: what happens to my credit card after filing bankruptcy? Can I keep a credit card or will I have to get rid of it? Well in most cases you’ll be able to keep your credit card is isn’t highly advised. The reason being is that credit card debt is typically the type of unsecured debt that leads to financial discourse in the first place. In order to get back on the path to financial stability again, it is often advised to get rid of the credit card to focus on rebuilding your credit and getting rid of your debts. In some cases, the bankruptcy trustee may ask you to relinquish your credit cards depending on your state and local bankruptcy courts, but most of the time there isn’t any laws that give them the authority to do so. Once you have filed for bankruptcy, you must supply the court a list of all your creditors who will be notified of your bankruptcy petition. It is not uncommon for the credit card company to cancel your credit cards one this notice has been received, but again, under some circumstances you will be allowed to keep the credit cards. The most likely situation that would involve keeping your credit card after filing bankruptcy is if you have a card that has a zero balance. Since it technically isn’t a debt if you have a zero balance, in most situations you don’t have to list it in your bankruptcy filing and therefore, can keep the card. Another situation in which you could keep your credit card is if you reaffirm the balance and enter into a new agreement with the credit card company. If you have struggled to keep up with your credit card payments and have only been able to make the minimum payment every month, it may be time to let them go. If, however, you like to keep a zero balance card for emergencies, then this is a situation you may want to hang on to it during your bankruptcy process. Because bankruptcy does go on your credit record, most credit card companies will find out about it one way or another. 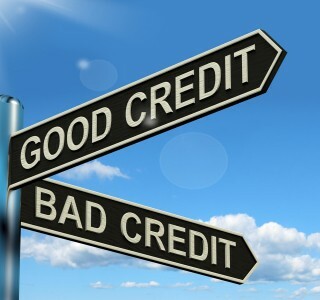 Talk to a bankruptcy attorney in Houston Texas about your credit card debts and ask their advice on whether you should keep them or let them go until after you have started to repair your credit.